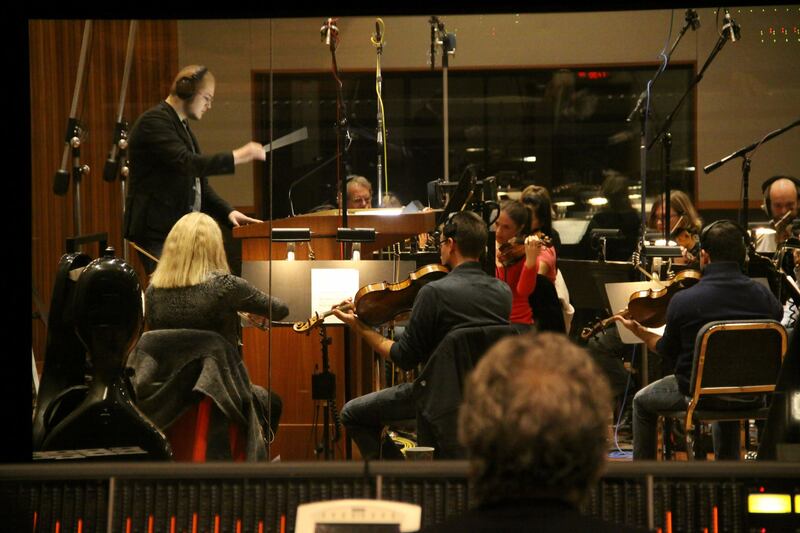 Spotlight: Film Composer Shaun Chasin! Shaun Chasin is a prolific composer who uses his immense musical talent to write and record soundtracks for films, television programs and video games for some of the biggest production companies in the world. Through his work Chasin essentially sets the mood for entire narratives, breathing life into what would otherwise be just dialogue and silence. Chasin recognized early on the importance of the growing video game field, and has applied his knowledge and passion for that booming sector of the entertainment economy to boost the sense of immersion. He was integral to the success of the recent game Hektor, for which he was not only the composer and sound designer, but also worked with a 40-piece orchestral band to record the soundtrack. Hektor is a great display of his adaptable and varied talents, but Chasin primarily works in film, where his compositions truly shine. One such film is 11 Minute Mile, the striking story of a man stuck in an airport after all flights are cancelled in the wake of the Boston Marathon bombings. The man tries desperately to reach his brother, a runner in the ill-fated foot race, but his attempts are in vain. Through Chasin’s careful work on the film’s score, the audience feels that frantic anxiety and emotional distress. In The Sin Seer, Chasin helped compose music, which set the tone for the intense thriller. The Sin Seer stars Lisa Arrindell Anderson (Clockers, Madea’s Family Reunion) as Rose Ricard, a woman who has a special gift for sensing the lies and motives of people, which she uses to solve crimes and cold cases. The film also stars Michael Ironside (The Machinist, X-Men: First Class) and Salli Richardson (I Am Legend, Antwone Fisher). Chasin’s exceptional musical talents and the diverse range of his skillset also made him the ideal composer for Ho Yaqeen, a series which tells the stories of six people who have strived to improve Pakistan, their home and the country they love. The series is directed by Sharmeen Obaid-Chinoy, whose film Saving Face won an Academy Award for Best Documentary in 2012. In addition to film, television and video game compositions, his contributions to the music of international advertising campaigns are invaluable. Among his projects are two public service announcements with Sharmeen Obaid-Chinoy prior to his work with her on Ho Yaqeen. He also did the music for Coca-Cola’s Crazy For Good ad campaign, the purpose of which was to encourage the commission of random acts of kindness. With a virtuosic understanding of the power of music and sound, and an innate ability to apply them in a way that perfectly sets the mood and tone of any project on which he works, Shaun Chasin’s golden touch has made him one of the most desirable composers in the field of entertainment.